Your cavity fillings don’t need to be noticeable when you throw your head back and laugh. 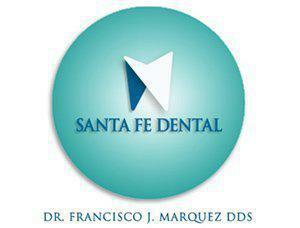 At Santa Fe Dental, Francisco Marquez, DDS, considers your aesthetic concerns by providing composite resin fillings that match your teeth. If you’re looking for a dentist in Santa Fe Springs, California who offers natural-looking fillings, call or use the online scheduler to see Dr. Marquez. Composite resin consists of powdered glass and acrylic resin and can be colored to match your other teeth. It can sustain a moderate amount of chewing, so it’s best for small to moderate-sized cavities. It’s impossible to tell you even have cavities with porcelain fillings due to their natural color and sheen. They also boast a long lifespan and offer more stain resistance. What happens during a cavity filling? First, Dr. Marquez numbs the gums around the affected tooth if the cavity is deep. Next, he uses a drill to remove all traces of decay inside the cavity. After that, he thoroughly cleans out the cavity. To create the filling, Dr. Marquez places layer upon layer of composite material inside the cavity, curing each layer as he goes with a special light. Once that’s finished, he files down the material to fit your bite and polishes the finished tooth. Years ago, dentists used amalgam, consisting of a mixture of metals, to fill in cavities. However, as more people prefer natural-looking fillers over metal fillings, dentists are transitioning to more natural looking alternatives. Dr. Marquez can customize the color of composite fillings, so they blend seamlessly with your other teeth. He uses them for front and back teeth, so even when you throw your head back and laugh, no one will notice your fillings. Composite fillings not only look natural, but they also restore your chewing capacity, as they can withstand moderate pressure from chewing. Part of the reason they last so long is that composite fillings bond directly to the tooth. They also require less of the tooth to be removed and help rebuild the tooth’s support. Amalgam, on the other hand, doesn’t bond to the tooth but instead rests on top and requires more of the natural tooth to be removed. Since composite fillings don't include metal, they don’t pose a risk to patients with allergies to metal. Because tooth-colored fillings are becoming the standard, most insurance plans now cover them. 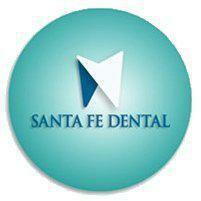 If you have a cavity and concerns about what it looks like once filled, make an appointment at Santa Fe Dental online or by phone to get the most natural-looking fillings available.